in December, I wrote that HP was the most likely of all major PC vendors to respond to the ASUS Eee PC ultraportable notebook given its history with mobile devices such as the old 95LX and Jornada series. The detailed screen shots and specifications of the HP/Compaq 2133 have made it the device that is receiving the most Web traffic at UMPC Portal. Ryan Block has posted about his experiences with a shipping Optimus Maxmus and comes away frustrated by its lack of practicality. I’d gotten hands on myself late last year at the Wired Store 2008 on Greene Street . It offered a chance to compare Guitar Hero III and Rock Band head-to-head, see how well you like your Lenovo in leather, and even pick up a few free magazines.. Probably the most disappointing product I saw there was the Epson MovieMate projector with integrated DVD that was in a tiny home theater area. the speakers sounded hollow even in the small room they were set up in. The Optimus Maximus struck me as a tank with disco lights. I too found it hard to type on but chalked it up to it being a pre-production version. Apparently, that wasn’t the cause. NYT solution to Microsoft’s Google threat: buy SAP? Last May, I posted a response to a Randal Stross piece that I thought unfairly compared Apple and Sony stores. However, his Digital Domain piece today on how Microsoft should buy a large business software company such as SAP instead of taking on Google has me scratching my head. This is like a trainer recommending that a boxer with a black eye lift more weights to improve his arms..Buying SAP may lead to further consolidation in Microsoft’s strongest market, but it does little to help it gain ground on the Internet advertising gold rush that Microsoft fears Google will use to launch applications that compete with its cash cows. Following Mr. Stross’s advice would effectively mean withdrawal from the online space. There’s a case for Microsoft spinning off that business, but for now Microsoft still sees the Web as its manifest destiny. Thanks again to Jonny Bentwood at Technobabble 2.0 for naming Out of the Box a Top 100 Analyst Blog. This marks the second consecutive time the blog has made the list even though the methodology has changed a bit from the last time. While Out of the Box did relatively well in Jonny’s subjective ratings, its overall ranking would be higher if we had more inbound links — which would help Google PageRank and Technorati numbers — and Google Reader subscribers, so if you like what you read here, please link and subscribe. Thanks. 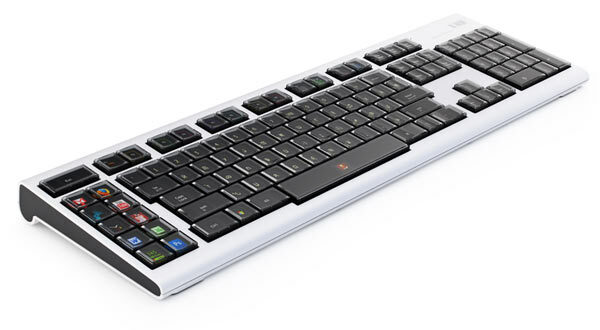 I was a fan of of the early Adesso keyboards that brought the original Microsoft “ergonomic” split-keyboard design to the Mac. Back then, the company had only a few products, but lately its gotten into all kinds of input devices, including the CyberPad A4, which uses ink capture technology that I’ve found works well on similar products. 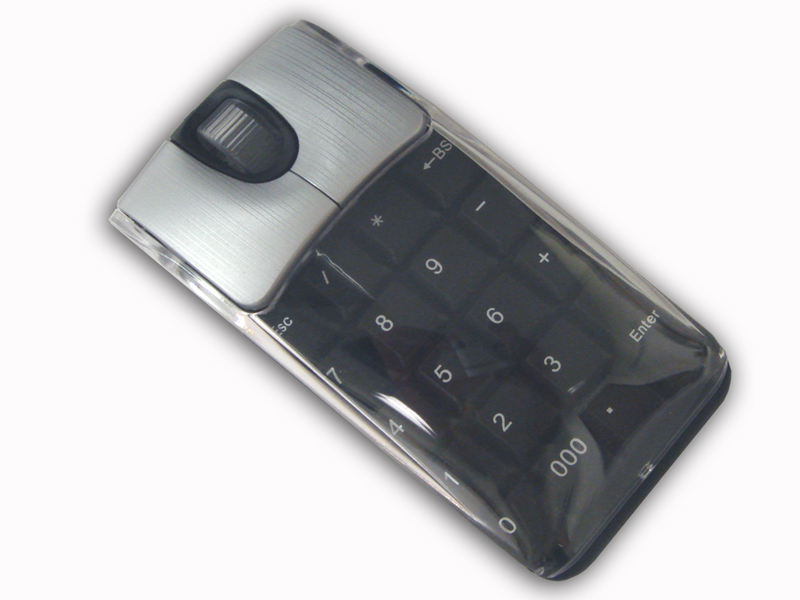 So, I was curious to try its combo mouse and keypad, which looked similar to a product I’d read about in mid-’07. At least it looked less awkward if less functional than one full-on calculator alternative and more aesthetically inviting than another. Unfortunately, this keypad-mouse was disappointing. Accommodating the keypad makes it huge and it didn’t move well on a glass surface. The keypad, while a little small, is fine. And the double-wide scroll wheel works OK, but it doesn’t tilt. Also, I’d like to see the cord cut, maybe with a Bluetooth version. All in all, it’s better to go with a separate keypad unless your laptop has only one USB port. Blu-ray was the second must-win AV standards war after LCD vs. plasma that the company has won in the past few years by leveraging selective specification superiority — curious for the consumer electronics company that is so frequently identified with being a lifestyle brand. Blu-ray’s main technical difference vs. HD-DVD was that it offered 50 GB per disc as opposed to 30 GB. Sony and the BDA didn’t make the capacity argument directly to consumers as much to the trade media, particularly before studio support became more relevant. However, Sony was the first company to proselytize 1080p or “full HD” to consumers, which has helped to give large-screen LCD the upper hand. Further momentum behind BD can only help promote 1080p TVs (not that they seem to need much help). It will also be very interesting to see how much the standardization of Blu-ray now helps sell the PS3 after the PS3 was kind enough to do the same for Blu-ray since 2006. Sony’s content holdings may not have been enough to overcome the challenges of UMD as a movie format, but the virtually guaranteed support of Blu-ray by Sony Pictures was a validation of Sony’s integration of hardware and content. Of course, the equal loyalty of Disney and Fox was critical as well. If you were wondering why Steve Jobs sneaked in some enhancements to the iPhone’s location capabilities in advance of the February SDK unveiling, tonight may have provided a clue. In advance of its official release at GSMA Mobile World Congress (and the first shipments of the Dash Express), Garmin unveiled its Nuviphone, which combines communication, navigation and some basic MP3 playback features — Industrial design inspiration courtesy you-know-who. Wilson Rothman has captured my pointing out the name’s similarity to a certain popular interactive voice response system. Garmin isn’t releasing specifications or a features list given that the device won’t ship until the third quarter. On the data front, though, the Nuviphone will support at least POP and IMAP email and Web browsing. It also takes digital stills an video and — here’s the slick part — geotags them so you can send a photo to another Nuviphone, after which that recipient can be directed to where the photo was taken. The Nuviphone has a 3.5″ screen but a wider aspect ratio than the iPhone. As for other comparisons, it’s not a smartphone in that it does not have an open OS. Garmin says that developing an SDK is technically possible but not something the company is pursuing. (I think it should.) And I also don’t expect the Internet or media features to set a new bar. Lifehacker has an update to its story about installing Mac OS X on a PC, creating what it calls a Hackintosh. Apple frowns on such a practice. Its tight control of hardware is part of what enables it to advance the platform with greater agility than Microsoft. Comments to the story report generally good success with the hack. One commenter notes that he would use the technique to test-drive Mac OS X before buying a Mac. With Apple taking the offensive against Vista, it might further entice Windows users to switch by allowing them to trial Mac OS X without having to buy into the hardware first. Like many Linux installation CDs, the Leopard trial DVD could run from the disc but not allow any modifications to the hard drive or allow consumers to save files. On the other hand, there might of course be driver issues as well as sluggish performance coming off the DVD drive and the last thing Apple wants to convey to Windows users is a slow, unreliable experience. Insert your Microsoft OS joke here. Flash memory vendor MSystems was one of the early companies to popularize the now-ubiquitous USB flash drive under the DiskOnKey brand. The USB flash drive finally replaced the floppy as the sneakernet medium of choice, and SanDisk is trying to extend its province to the TV with TakeTV. CrunchGear claims that the device will be revealed at 3GSM and includes a cellular radio, If so, though, why doesn’t the keypad below the screen have numbers? Relying on a phone enclosure would add more docking and undocking throughout the day. 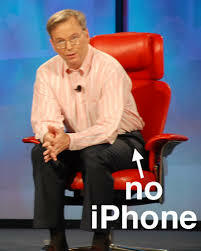 Last week, TechCrunch picked up a New Yorker story that notes that Eric Schmidt now recuses himself from the segments of Apple board meetings that discuss the iPhone due to a conflict of interest with Google’s Android operating system, about which Chairman Jobs is none too keen. I wonder if he uses that time off to field calls from his fellow Google executives imploring him to get in there and remember the part about organizing the world’s information. Erick Schonfeld asks what good is a board member who cannot talk about a company’s hottest product, going so far as to suggest whether Schmidt should be on Apple’s board at all? At least for now, Schmidt is benefiting Apple according to the old adage about “the enemy of my enemy.” But I also wonder about the slippery slope. Can Schmidt be there when they talk about being able to access Flickr albums from Apple TV?